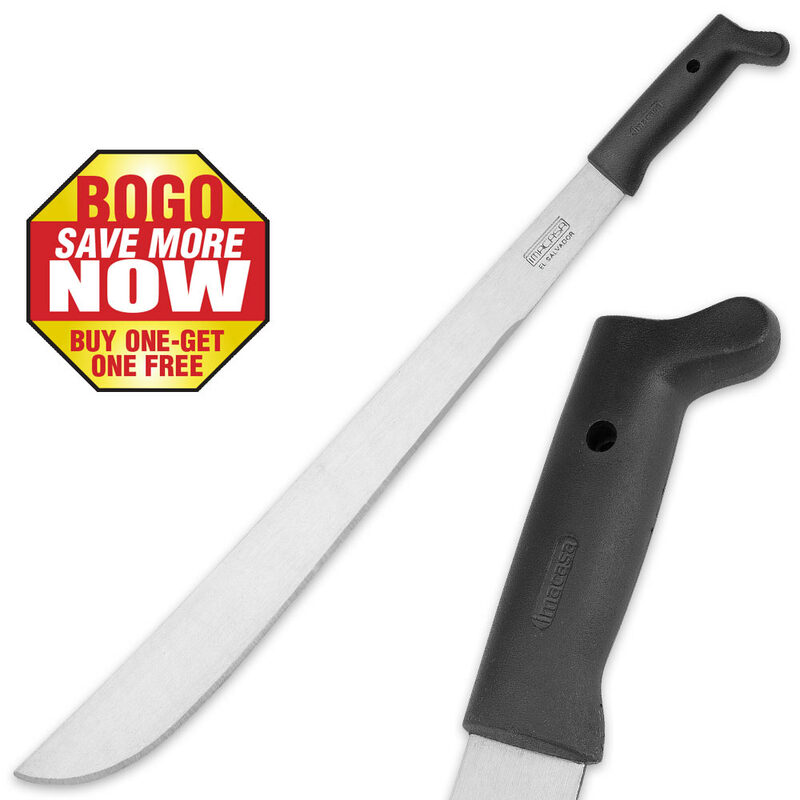 Imasca Classic Machete With Polypropylene Handle BOGO | BUDK.com - Knives & Swords At The Lowest Prices! Just got these on BoGo deal they are nice ,short and light so could use one all day with out getting worn-out . They have a life time warranty .Just the right size for fishing bucket . Great little set of Machetes . Would recommend . 100% satisfied .